Can modular homes help smaller developers compete with the large housebuilders? The use of pre-engineered modular homes is growing and is starting to change housebuilding in the UK. Can it help smaller developers steal a march on the larger developers? In a speech earlier this year, prime minister Theresa May placed part of the blame on the UK’s housing crisis on developers. “The gap between permissions granted and homes built is still too large,” she said. She claimed large housebuilders were “land banking”, ie sitting on land and watching its value rise before starting to build. House builders hit back saying they were building as fast as they could, with Donagh O’Sullivan, chief executive of Galliard Homes describing the prime minister’s suggestion as “ludicrous”. But are developers really buildings as fast as they can? Even if we dismiss claims of land banking, is the process of building a property simply too slow? The house building process has changed relatively little over the past 50 or so years. Some materials have changed but the basic process is pretty much unchanged: swarms of men pour concrete and lay bricks, a new building inches upward until it is completed four or five months later before being fitted out. It is fair to say then that the house building industry has not, for the most part, embraced technology. But that is starting to change. Modular building has been around for a while now but has had a bad press largely because of its association with post-war prefabricated housing. One company that has invested heavily in modular building is Laing O’Rourke, the UK’s largest privately-owned construction company. It claims that its Design for Manufacture and Assembly (DfMA) system is 50% faster than traditional methods, enabling an earlier return on investment for developers. They also say the build is less disruptive, and quality is better and more consistent. In a recent article in The Sunday Times, founder and CEO Ray O’Rourke says his goal is to invest more than £200m in a factory capable of building 10,000 homes a year. He warns that technology is coming and says “it’s better we embrace and exploit it”. In this respect, the industry still has a long way to go. A recent article in the Financial Times describes housing factories as being at the level car factories were in the 1970s. One of the reasons given for UK developers being slow to adapt to modular housing has been lack of competition. The decline in the number of small developers has been alarming over the past 30 years, with the result that the larger developers haven’t been sufficiently challenged to change the way they operate. Perhaps it will take a company from outside the industry to shake things up. Legal & General is best known as a financial services company but has set up a modular homes division in an attempt to, in its words, “do for housing what Henry Ford did for the modern automotive industry”. L&G says it will manufacture better quality homes that are more energy and time efficient, and cheaper than traditional homes. Their homes will arrive on site virtually complete, with kitchens, bathrooms, doors, ironmongery, painting and even carpets fitted in the factory and certified as defect free. In global terms, Germany and Japan are at the forefront of this new way of producing homes, some way ahead of the UK. In Japan, more than 15% of the country’s new homes are prefabricated in some way. One of Germany’s biggest modular builders is Hanse House, which offers a range of turn-key models. Clients spend two to three days choosing everything from doors and windows to the position of sockets. The house is then built in two to four months in Germany during which time the groundwork is prepared. A team of four or five builders then come from Germany to build the house, which is usually erected and watertight in three days. This type of modular approach is starting to be adopted by smaller developers in the UK and is something we expect to increase rapidly over the next few years. The benefits in terms of cost, time and quality cannot be ignored and offers smaller developers a wonderful opportunity to fight back against the big boys. 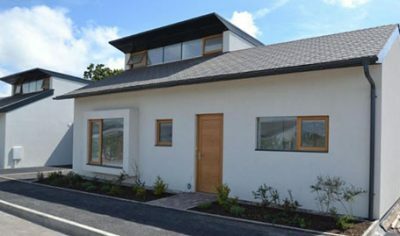 Argyll has provided mezzanine funding for developments built using modular components, most notably for a scheme of 90 homes in Devon. If you would like to discuss mezzanine funding for your development, please contact us now.